In patnership with the associations FORWARD UK (UK), Himilo Foundation (Holland) and the Institute of Tropical Medicine Antwerp, with the support of the European Union, GAMS coordinated the project entitled Men Speak Out. This project aimed at mobilising and involving men in the combat against female genital mutilation and, on a larger scale, to eradicate violence against women and to promote a gender equity in the respect of human rights. Indeed, many organisations across Europe have developed strategies against FGM. The major part of the work to raise awareness, particularly in Europe, is done by women, the lack of implication by men is striking. 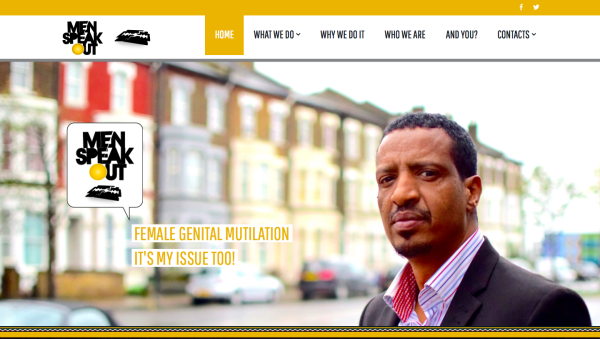 FGM is considered to be women’s business, but in reality, it concerns all the members of the community, the men could and must, play an active role in the abolition of these practices. The implication of men in this fight is crucial and can accelerate the abandonment of this practice in Europe and, by expansion, to the countries of origin. Concretely the project is divided into 3 major steps. Firstly we conducted a qualitative and quantitative study among the men of the diaspra in Europe in order to assess their knowledge about FMG and their position relative to this practice. Followed by a training course for peer educators in the three countries and producing specific tools for raising the awareness of men stemming from the practicing communities. Lastly, a campaign to raise awareness among the communities through activities led by the trained peer educators. In particular we developped messages raising awareness for the television, radio and other media in order to strengthen the European Directives for the prevention of FGM. On 8th december 2016, the preliminary results of the Men Speak Out research were published. The objective of the quantitative study was to estimate the proportion of men who are in favour of the continuation of FGM in Europe (Belgium, Netherlands and United Kingdom) as compared to in their country of origin.